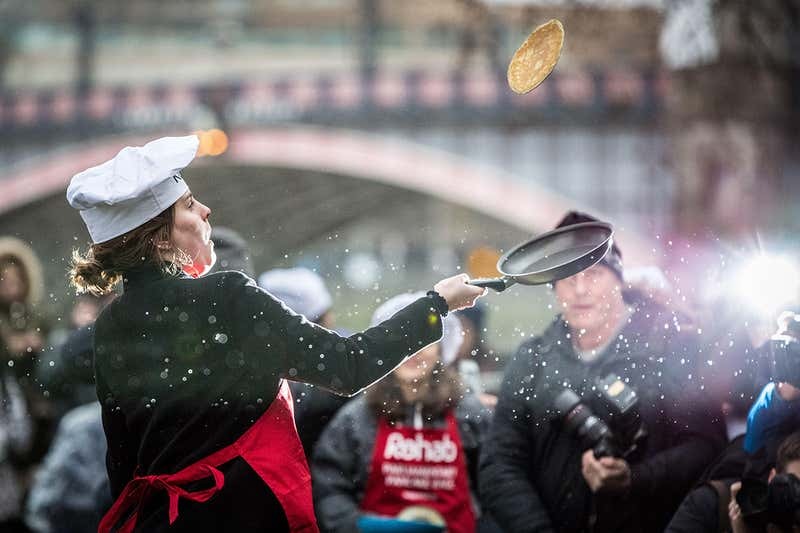 Shrove Tuesday is traditionally the day when people of many nations show off their pancake-flipping skills (or lack thereof). It may surprise you to know, however, that pancake flipping is a serious pursuit of mathematicians. The Pancake Problem imagines a chef trying to sort an untidy stack into a neat pyramid. She can stick her spatula anywhere into the stack and flip the upper section around, over and over, to form an orderly tower of tastiness. Mathematicians are still puzzling over the best way, using the fewest flips, to do this. 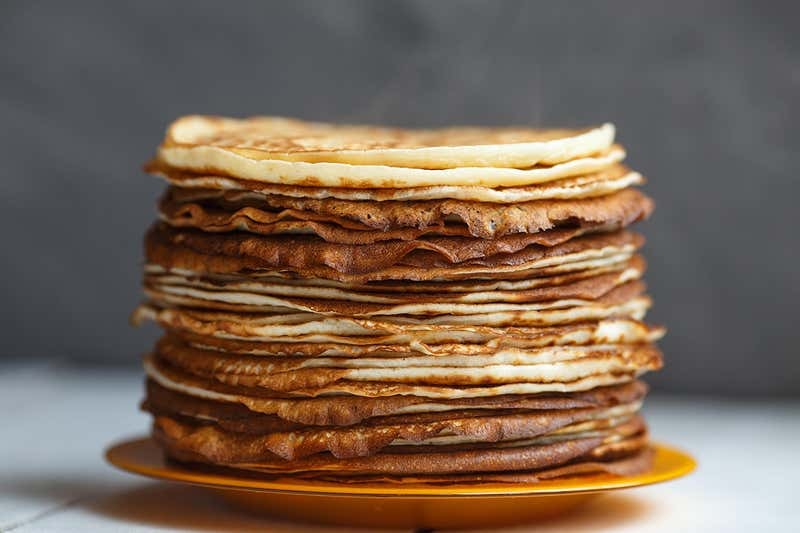 The simplest method – repeatedly moving the next-largest pancake to the top, then inverting the whole stack – requires two flips per pancake. In the early 1970s, Harvard professor Harry Lewis set the problem to his students, one of whom devised a solution that requires just 1.67 flips per pancake. Although the student later dropped out of Harvard, the solution he published with Christos Papadimitriou held the title of best flipping algorithm for more than 30 years. And to this day, “Bounds for Sorting by Prefix Reversal” remains the only scientific paper published by Microsoft’s Bill Gates. According to Einstein’s general theory of relativity, matter and energy bend space and time, and the amount of stuff the universe contains will determine its ultimate fate. If the universe is dense enough to curve space-time in on itself, all that gravity will eventually collapse it back down to nothing. 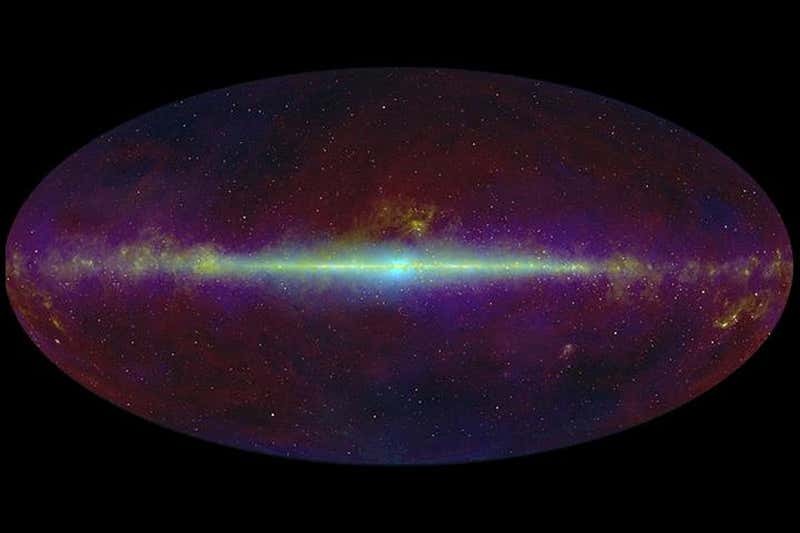 If the universe’s density is low, it curves outwards – and the weakness of the gravitational pull will mean it expands forever. But our universe seems to fit in neither camp. The most powerful test of its geometry is the variation in the cosmic microwave background, the radiation emitted shortly after the big bang. According to measurements of this radiation, the density of matter and energy is such that the universe doesn’t curve either way: it is perfectly flat. After an eternity, its expansion should grind to a halt with no subsequent collapse. Physicists are at a loss to explain this startling coincidence. At the start of this year, NASA’s New Horizons spacecraft hurtled past Ultima Thule, the most distant space rock we have ever visited. From afar, the rock appeared to have two bulbs, like a snowman. But on closer inspection, it turned out to be weirdly flat. Evidence from Palaeolithic sites suggests that humans first learned to make flour at least 30,000 years ago. The flour would probably have been mixed with water and baked on hot rocks, resulting in something rather like a pancake.